Hope you are all getting ready to rock 'n' roll in the new year. We sure are. French 75s and homemade moonshine are about to flow like water up in this piece. 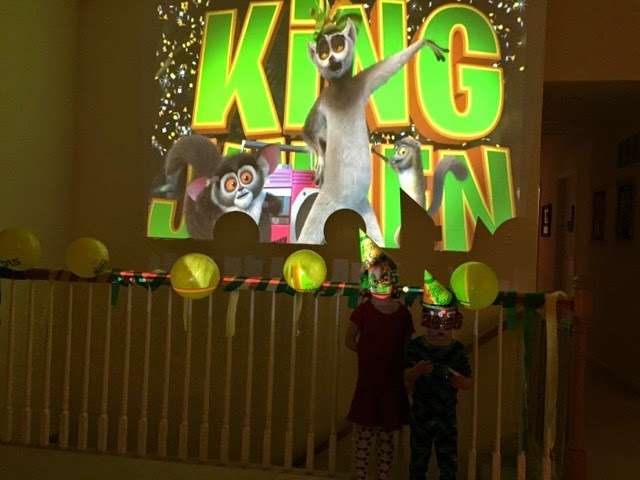 We are starting the night by having a kiddie countdown thanks to Netflix's King Julien New Year's Countdown. It lets the new year roll in on mommy and daddy's watch, not Time Square's. Your WELCOME! I swear they are actually having fun. Happy New Year, Boozehounds. May your blessings be many and your hangovers few.